Taking an international assignment could be just the boost you need for your career. But it’s not easy. Here are 15 best practices from women who took the step to go overseas – and thrived in their roles while they were there. 1. Let the family and spouse know what they will get out of it, if relocating your whole family abroad. 3. Have a serious discussion with your significant other. “My husband wonders where he’s headed next. But once the discussion of what he would do when we returned to the U.S. fell out, it was much easier,” says The Coca-Cola Company’s Therese Gearhart, who recently left Turkey for a new role as president of the South African business unit. Decide whether your partner will find a new job upon relocation, or not. 4. Make use of technology. 5. Make sure the family gets what they need in terms of safety, education and support. 6. Sometimes you have to put your children’s wants before your own. 7. Make sure the family understands that they are moving for the parent’s job and that will probably mean the parent will be working 40 to 60 hour workweeks. 8. Realize that your first assignment may not be a glamorous one. 8. Find networks for your spouse. 10. Take advantage of virtual support groups. Many companies have online bulletin boards and virtual support networks for spouses and children. In the same vein, many large cities have similar online bulletin boards for expats announcing social and professional events. Join a country club and get involved in your kids’ school activities. 11. 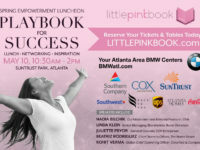 Stay plugged into women’s networks within your company. Coca-Cola’s Ceree Eberly with her son in London. 12. In your new location, have a sponsor – not just a mentor. A sponsor will open doors for you and your family, such as making important business and social introductions. In some Asian societies, it can make a whole lot of professional difference to have a local “connector”. 13. Have the new house set up before the family arrives. 14. Appreciate family support back home. 15. Have the mindset that “you can be happy anywhere as long as you are together as a family,” says McIntyre.